Sober Champion - Are Your Really An Addict? Are You Really An Addict? For many New Yorkers, the concept of "addiction" is rapidly losing all useful meaning. Once, addicts were rare: they looked like Frank Sinatra's character in The Man With the Golden Arm: a junkie jonesing and suffering the maddening anguish of withdrawal. Overindulge and flirt with the boss's wife? Alcoholic. Even if you are currently using every day, don't be so quick to label yourself an addict. A Sober Companion can help you to determine whether you are an addict or an alcoholic, and can help you attack the problem, whatever it is, by using a variety of methods. Fascinatingly, this label frenzy peaks in two areas which used to be miles and miles apart: the criminal justice system (especially in the field of adolescent behavior study) and the American media. Daily, we hear of American citizens (from average to extraordinary) whose foibles are blamed on some "addiction" with obsessive-compulsive features. Whether these are kids going to juvenile hall for the first time, or celebrities whose apparent motto is "in vino veritras", the labeling can be as much hindrance as help. Our New York Sober Coaching philosophy is that, quite often, there are underlying causes and conditions which cannot be digested in a media sound bite. You'll learn a lot more about your needs by refusing to label yourself so quickly. Maybe you are an addict. Maybe you are an artist with a deep sensitivity. Maybe you are a survivor of traumatic childhood experiences. Maybe you have an undiagnosed or misdiagnosed organic mental illness. It might be all of the above. 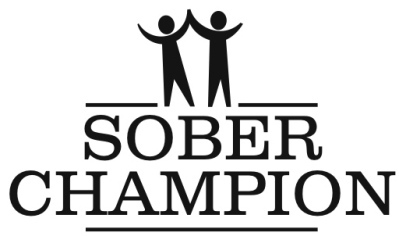 Whatever your individual circumstance, a New York Sober Companion can be your best advocate. Our function is to help you get away from drinking & drugs long enough to find out who you really are, what you really want, and how to go about getting it. That's what we do.